Best wishes on Varalakshmi Vrat, the festival honouring Srimati Varalakshmi the Goddess of Fortune and consort and shakti (potency) of Lord Vishnu. Lord Shiva himself is said to have recommended the observance of Varalakshmi Vrat to his wife, Parvati. Commemorating Parvarti’s devotion and love for her consort, married women fast and worship Goddess Lakshmi, offering flowers and sweets and praying for Her blessings upon their family members. Saints teach us that the best boon we can pray for is the blessing of love for the Lord. This divine love will fill our hearts with a deep inner happiness that goes far beyond any material benediction and brings the greatest benefit to our loved ones. 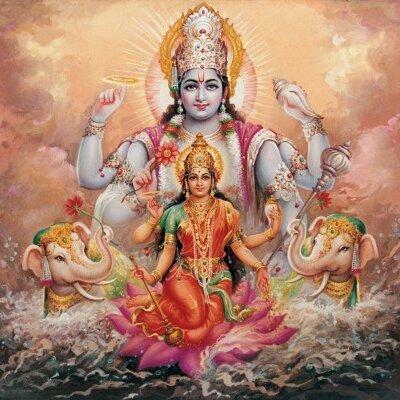 O wife of Lord Vishnu, O internal energy of Lord Vishnu, you are as good as Lord Vishnu Himself, for you have all of His qualities and opulences. O goddess of fortune, please be kind to me. O mother of the entire world, I offer my respectful obeisances unto you. If you are planning to travel overseas, you must see these famous temples around the world. 15th August 2018, Happy Independence day India, home and birthplace of Hindus.